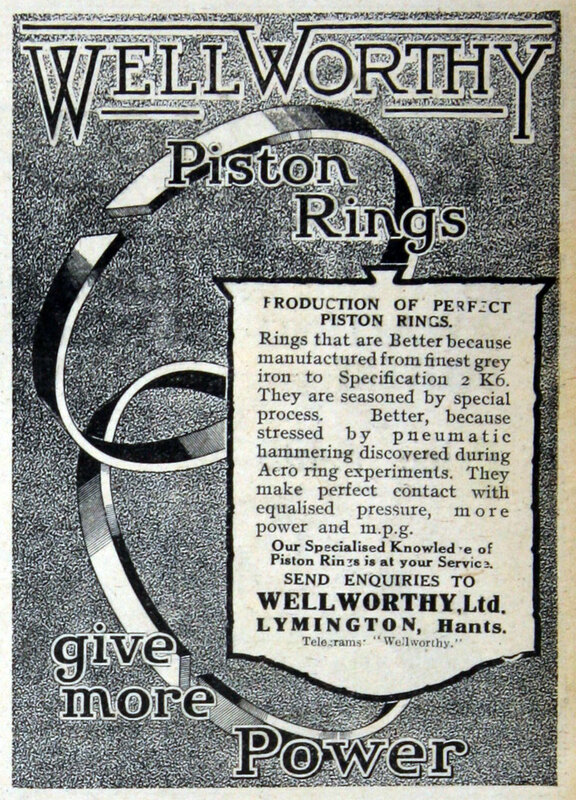 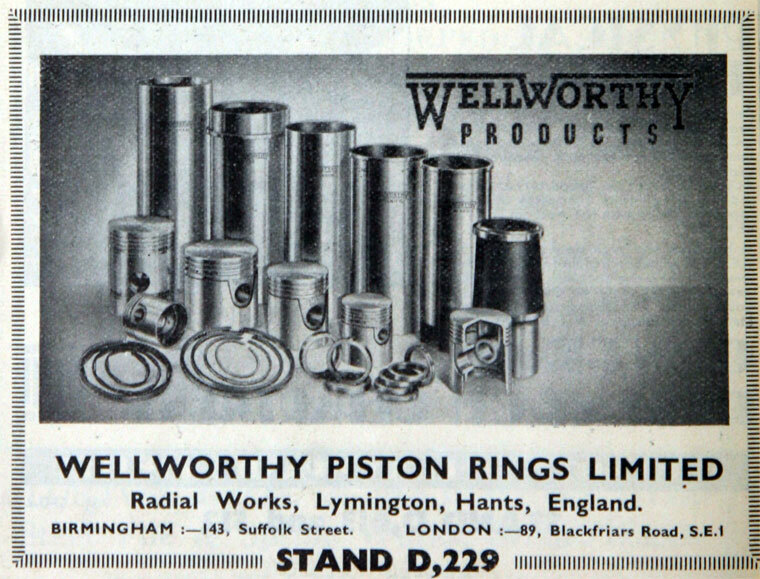 Wellworthy Piston Rings Limited of Radial Works, Lymington, Hants. 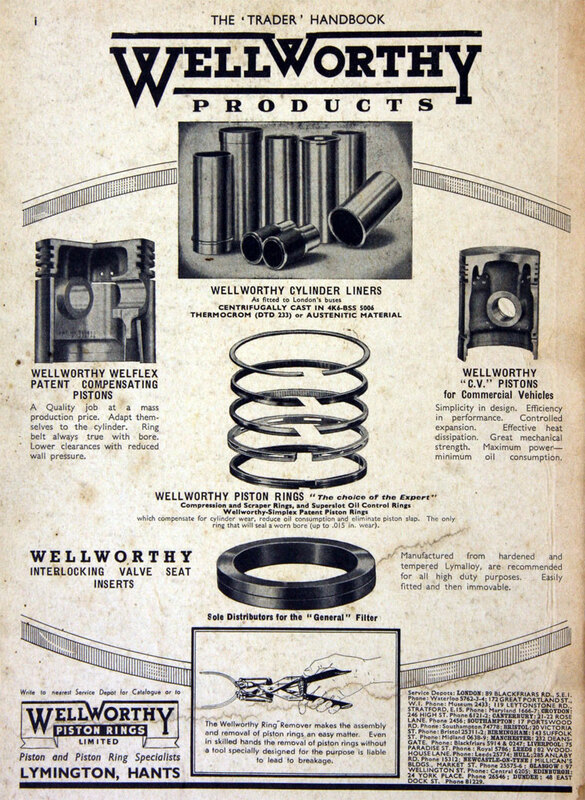 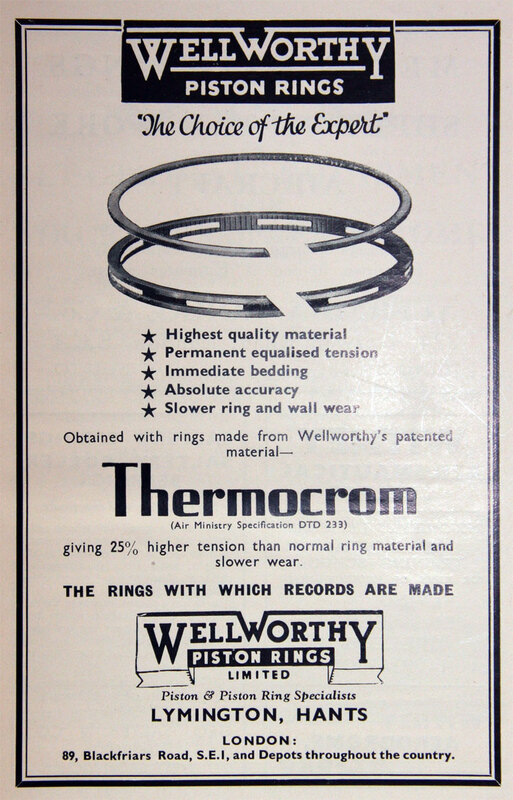 1919 The name of the Company was changed to Wellworthy - the original factory standing on a well and a "worthy" being the Wessex name for a ring around a well. 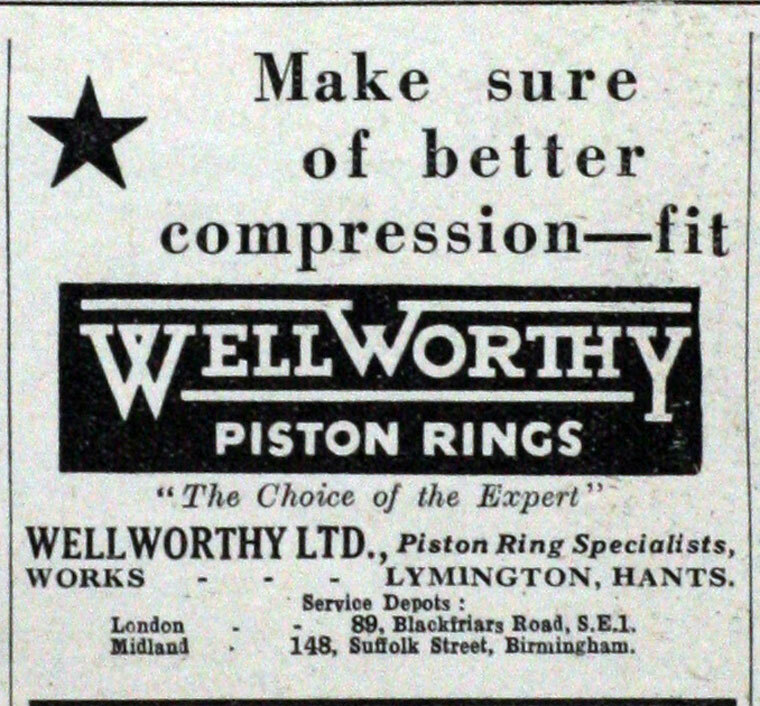 1936 The Company went public as Wellworthy Piston Rings Limited. 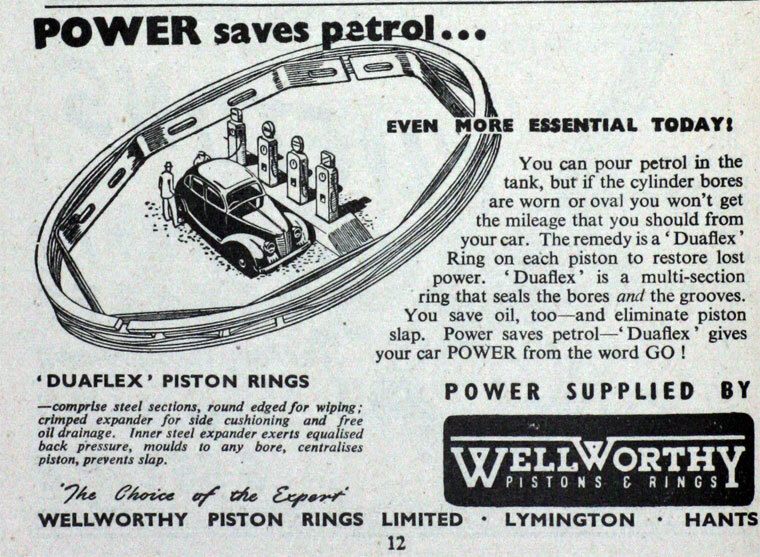 Post-WWII. 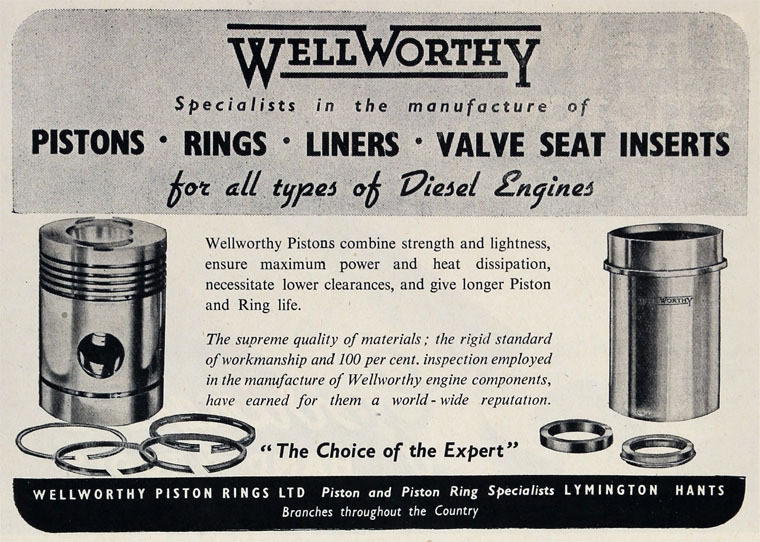 In the difficult period after the second World War, it was decided to merge with the British Piston Ring Co and also with Hepworth and Grandage, to form Associated Engineering Holdings. 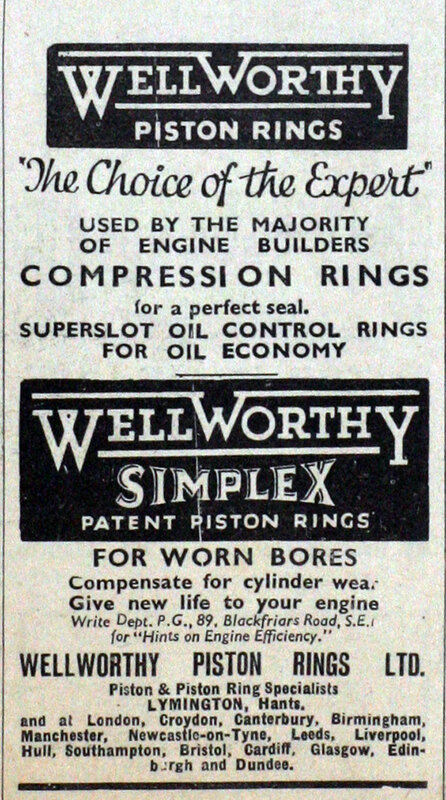 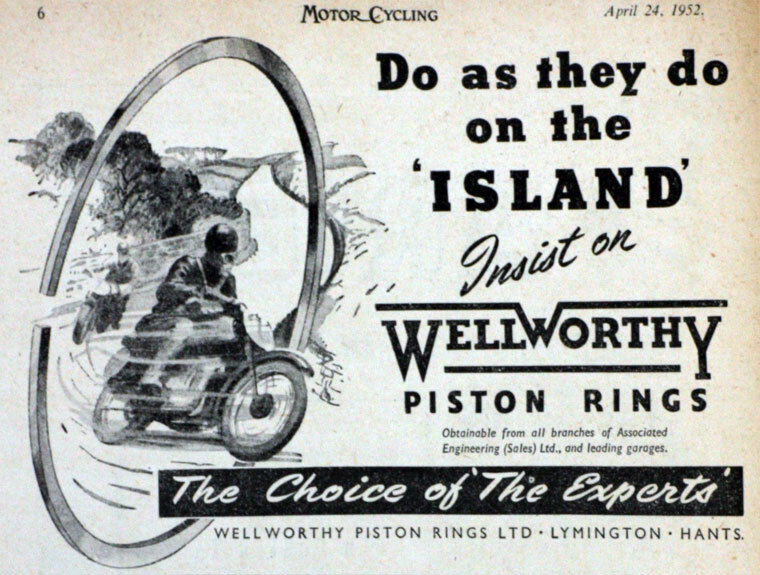 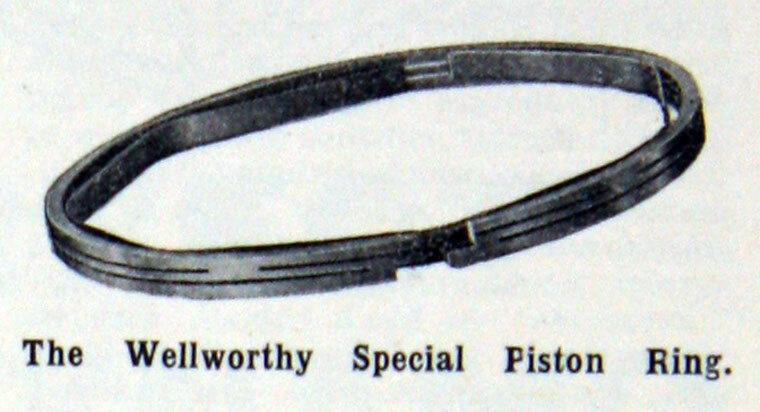 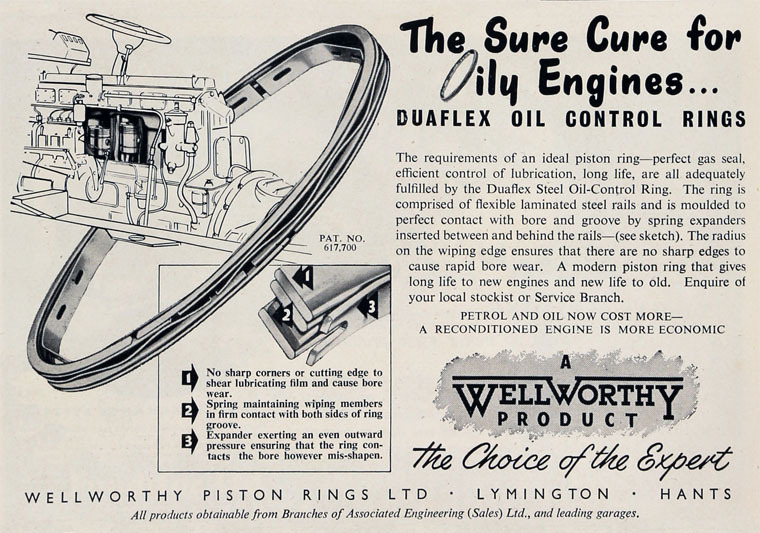 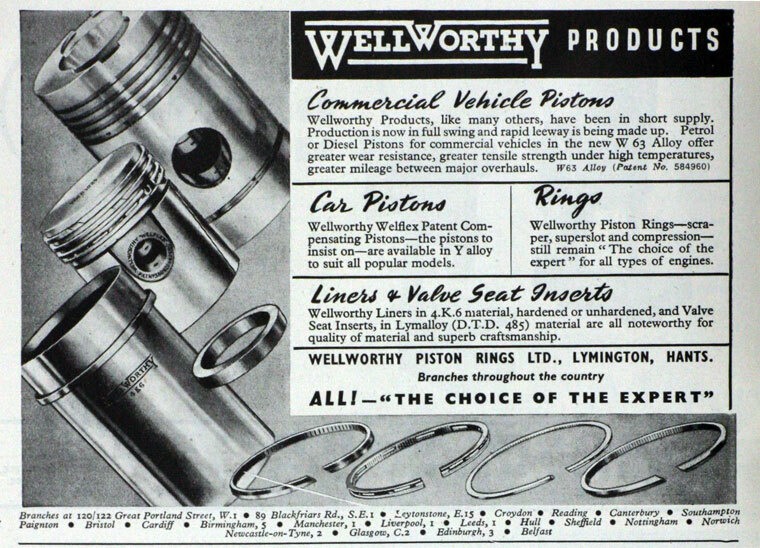 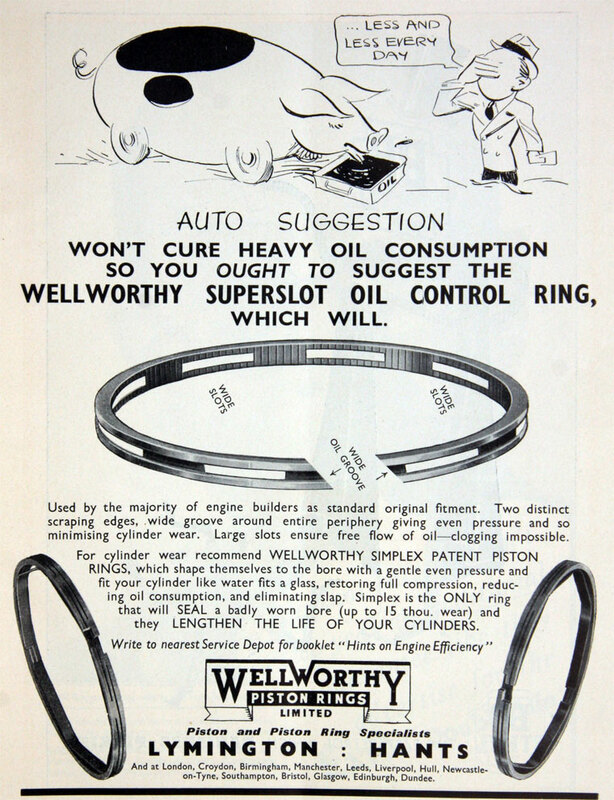 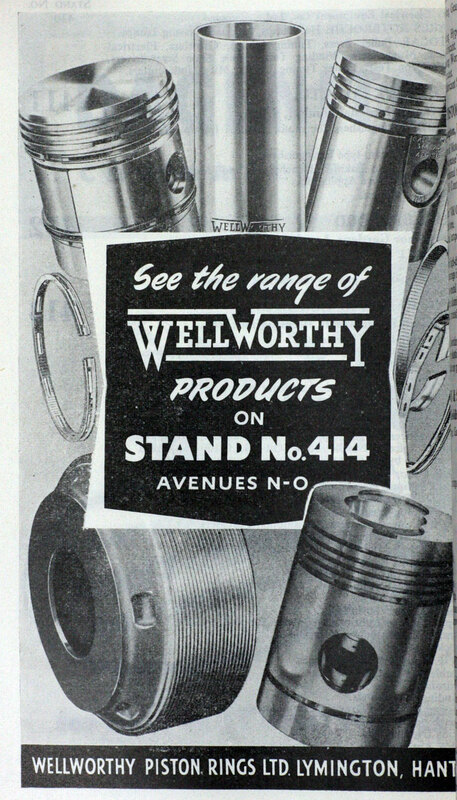 1952 Wellworthy dropped the reference to piston rings and shortened their name to Wellworthy. 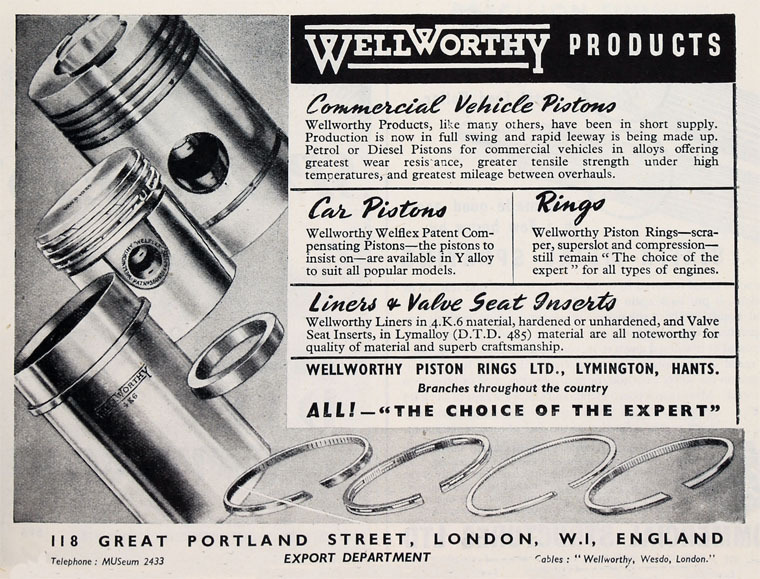 By 1966 they had become a major producer of components for the motor industry and were expanding rapidly. 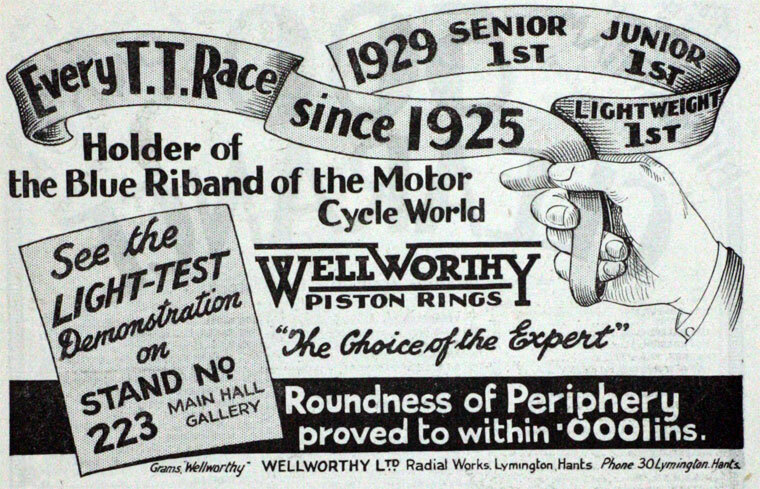 This page was last edited on 16 August 2016, at 09:48.